We blend horticultural know-how with marketing & business savvy to provide strategy, guidance, and creative direction to grow your green industry project or business. We love the green industry and have spent more than 25 years discovering its nooks and crannies. That means we know our way around most of its moving parts. It also means our expertise and experience can be put to use in a variety of ways. Whether you need horticultural consulting support for commercial or residential properties; green industry content, branding development, and marketing strategies; or green industry business & career coaching, we can help. We're excited by your green industry business goals; we're here to help define your identity and deliver a message of value, relevancy and authenticity. Improving perception of value is key and we all want to earn more for the important services and products we provide. Our goal is to help you grow your game. We help fine tune your green industry business, emerging business, or product, with industry-specific, business development coaching, business planning, and marketing strategy planning. We work with a variety of businesses from all sectors of the green industry and allied trade - working on retainer, by project, or hourly. One of Leslie's niche specialties is developing hybrid agricultural/business/marketing plans for farms and nurseries that grow plants, livestock, and produce as well as cater to the public. We call these "farm plans". We can coach your managers with training, staffing issues, budgeting and inventory control strategies. Plus, perform market research and case studies. If you're not ready for ongoing consulting, or a full plan, you can start with a one-time Business & Product Consultation. Looking for green industry career advice? If you need one-one-one guidance as an individual to help you develop your career or new business, we can help. For recent grads, young professionals, or career-transitioners: Green Industry Career Consultation. Don't have an on-staff Chief Marketing Officer, or need help improving your current company, plant line, or product strategy and brand? We help you develop an overall marketing strategy for your business or product. We also provide creative direction and help you develop your company or product branding from scratch or refresh existing branding with fresh and relevant creative direction, concept work, and messaging development. We partner with a bevy of talented designers that can get your final graphic art and art production needs taken care of while we manage the overall project. If you have employees or contract designers you already like working with, we can plug into your existing team to provide creative direction and technical guidance. We also provide green industry specific copywriting and copyediting for all of your technical and marketing needs. Copywriting for horticultural books, product lines, catalogs, articles, whitepapers, advertising pieces and advertorials, company websites, print collateral, product labeling & packaging. Original and horticulturally correct copywriting for a variety of industry segment blogs such as landscaping, arbor care, design, garden centers, and growers. As a degree'd and Certified Professional Horticulturist (ASHS), Leslie provides horticultural consulting services to commercial clients such as greenhouse growers, landscape architects, design & build firms, landscape maintenance companies, plant breeders, nurseries, garden centers, and companies that create horticultural products.We also provide horticultural consulting for residential properties. We support your work with site and plan review, plant recommendations, design enhancements and adjustments, maintenance recommendations, product sourcing, technical copywriting, and product development support. Consulting can be as-needed or with ongoing monthly retainers. Leslie is available for gardening related print, TV and radio interviews or segments. If you're looking for a confident and empowering speaker to energize your conference, event, or staff training, Leslie provides lectures on horticultural, green industry business, and marketing topics. 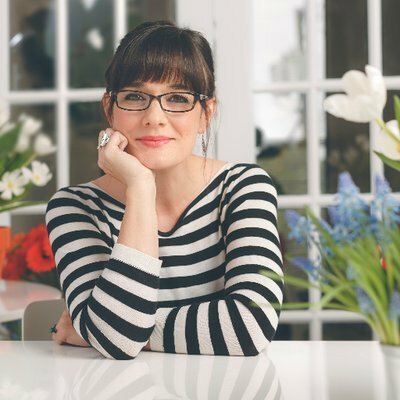 As the author of the book "Gardening Under Lights: The Complete Guide for Indoor Growers", and "Plant Parenting: Easy Ways to Make More Houseplants, Vegetables, and Flowers", she also provides related programs for large consumer events - as well as programs on a wide variety of horticultural topics. As a freelance writer she is able to provide features, regular content, and photos for your industry or consumer horticulture & gardening publication. If you'd like to chat, please reach out via my Contact Page Thanks!